Paul Whitfield writes and illustrates funny fiction for children. He has lived a semi-nomadic life that began in Australia, before landing him in London, and then France, where he currently splits his time between the Eurostar and a village on the banks of the Seine just outside Paris. He has, mostly by accident, been a business journalist since 1997 and has written for Bloomberg, the BBC, the New York Times, a handful of British national newspapers and more recently U.S. news outlets The Deal and The Street. Because his day job is so dreadfully serious he has long kept himself sane by drawing, painting and writing silly stories. 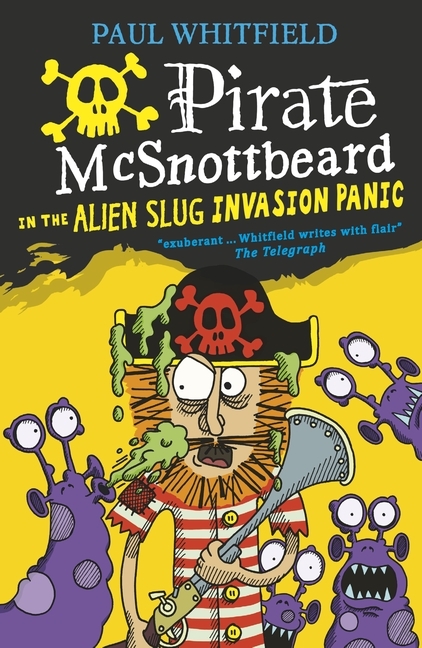 His Pirate McSnottbeard series is published by Walker Books. Paul is married with two children and a vegetable patch.